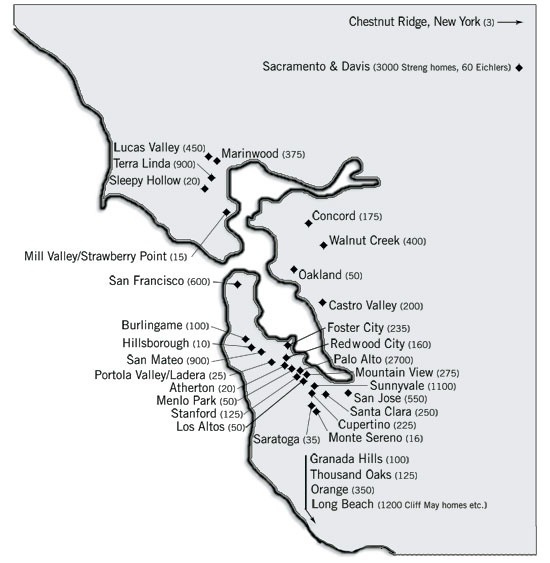 The 9 (of which 8 are Eichler) properties that make up San Antonio Court in Los Altos are among some of the more prestigious and well manicured Eichlers in this area. 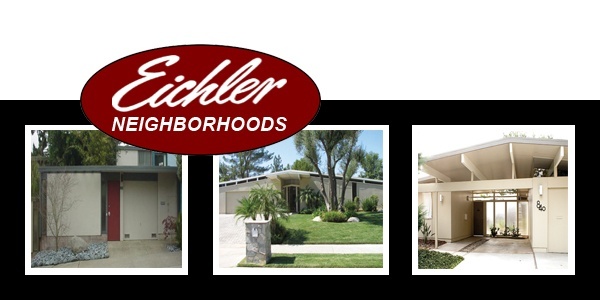 Built in 1974, these Eichler homes are either 4 or 5 bedroom gallery models of approximately 2,000 sq.ft. This neighborhood also sports a custom Eichler home, of about 3,000sq.ft., that was built in 1969 on nearby Almond Ave.